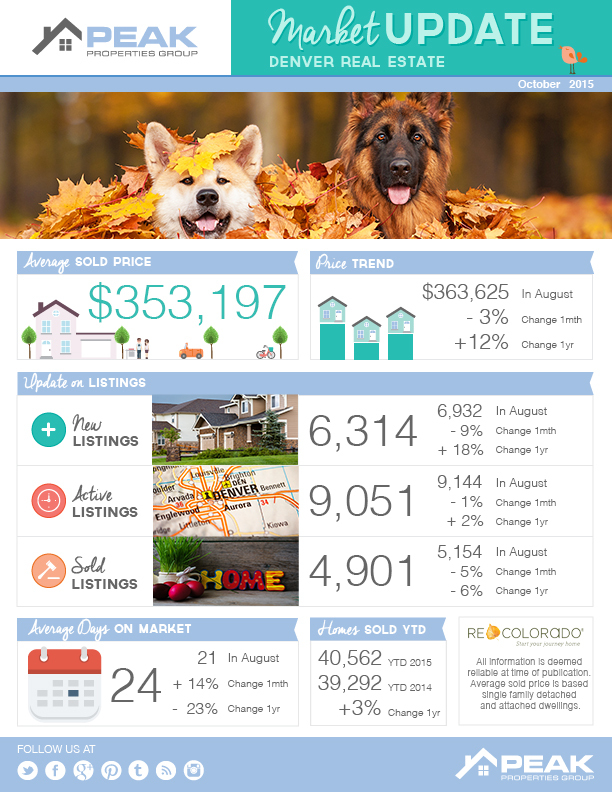 The September Denver housing market ends strong but shows signs of cooling off for Fall. The Fall housing marketing is cooling off… and we LOVE it! The Fall housing marketing is definitely cooling off after a crazy summer selling season where buyers and sellers were duking it with multiple offers. This news of a slowing market is great news for buyers in the Denver area, things are getting back to normal and we can start to see the beginnings of strong fall and winter market. Take a look at the article below from ReColorado.com and the Peak Properties Group and let us know if you have any questions to comments about where we see the Denver area headed.